Open URL - www.scconline.com and click on Login as shown in image 1. Click on IP Login tab & enter your registered Login id as shown in Image 2. 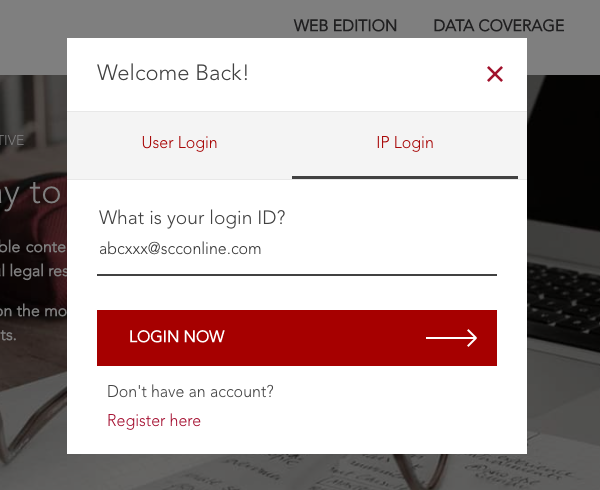 Note - The IP Login Tab is visible on connections which are registered for IP Login. If you are unable to see this, please ensure you are connected to the correct network. Still having problems? Write to support@scconline.com with the IP address shown in the footer of the page. 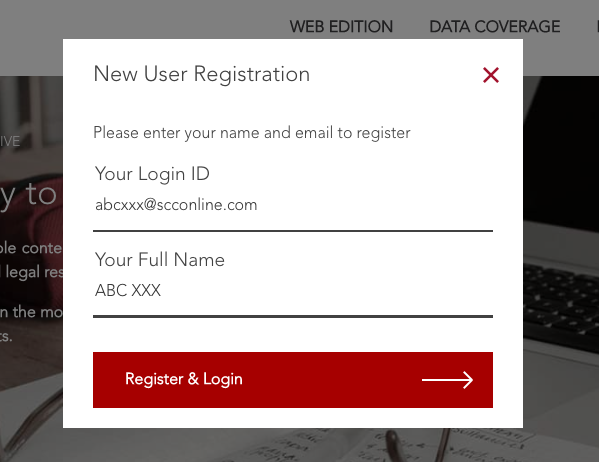 For first-time login, users will be required to register themselves as shown in image 3.